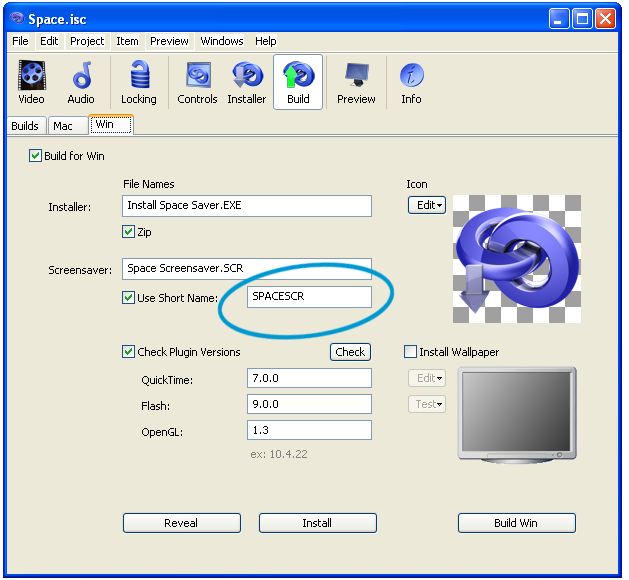 If you have installed more than one screensaver, or have installed the same screensaver for both single-user and multi-user installs, it may be necessary to manually delete the file(s). Follow these instructions to accomplish this. In the Finder, from the "Go" menu choose "Home". Open the Screen Savers folder. Drag the screensaver(s) to the trash. In the Finder, from the "Go" menu choose "Go To Folder". In most cases, using the same Short and Long filesnames in the same location will replace the previous versions without conflict, however there are two different ways to install on both platforms - for 'All Users' or 'For Me' (the current local user). If you've installed the same screensaver in both locations, it may cause confusion. You can test both types of installations by using the 'Install' menu or choosing from the pop-up menu on the installer. But in the course of testing, copies can be forgotten, leaving a chance for a double install conflict. This will not harm your machine, but the system can be confused as to which screensaver to use and/or delete. Cleaning up a double install conflict manually is as simple as following the steps below. Note that every screensaver has both a Short and Long filename -- you may need to refer to the Short Name to identify the screensaver's files. 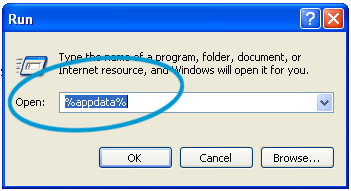 With the 'Install for All Users' option, the files are stored in the 'C:/Windows' folder, and with the 'Install for Me' option, the files are stored in the '%appdata%' folder. From the Start Menu, choose 'My Computer' to open a system window. Click on 'Local Disk (C:)' to open the hard drive. Click on 'WINDOWS' to open the Windows folder. 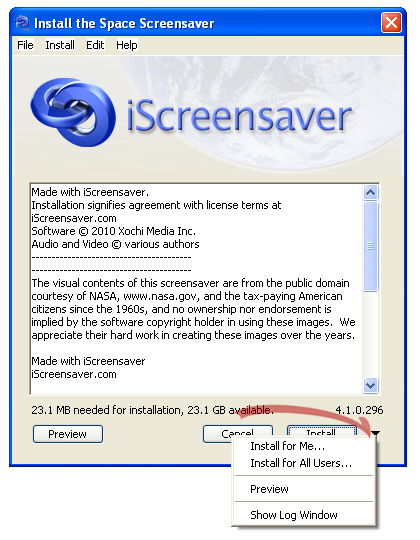 Delete the screensaver file (It may have a filename ending in '.SCR', or if you aren't showing file extensions, it may just show as the file kind of 'Screen Saver") In either case, delete it, and also delete screensaver 'Libs' folder. Both names will have either the Short or the Long Names used. 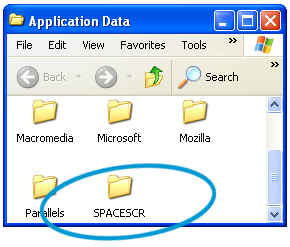 Find the local user files from the %appdata% folder. Click the Start menu, choose Run, and enter '%appdata%' for the Open name. Click the Start menu, and type '%appdata%' for the search term. 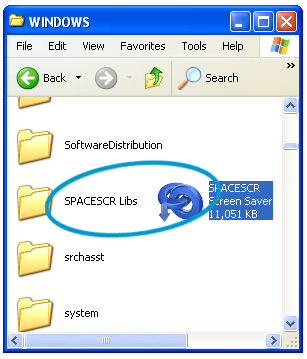 Delete the folder that contains the .SCR file and the Libs folder. Make sure to empty the Recycle Bin.